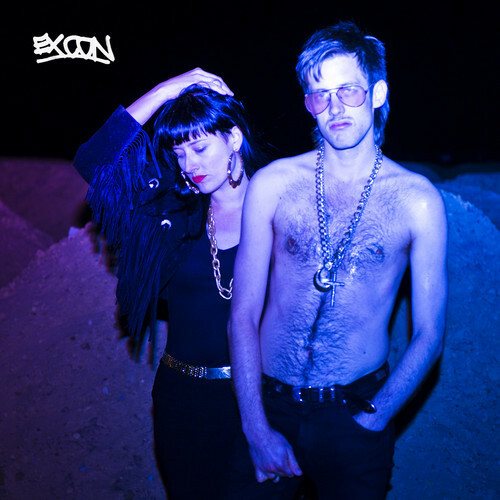 Ex Con is the songwriting duo of JD from Slug Guts and Joanna Nilson, who I believe used to play in Butcher Birds. This is rougher and uglier than anything Slug Guts has ever produced, with Nilson’s vocals capable of channeling that always-sought-after enraged junkie vibe. It’s hard not to take a look at the Ex Con single cover and be reminded of Circle Pit, but at least on the evidence of what I’ve heard, there’s nothing remotely bittersweet about Ex Con. Here, everything is on fire. Everything. It’s just gotten to that stage. Life is only going to get worse from here. We’re all heading in the wrong direction. Get joy where you can, because that’s what this lark is about. The single is available now through Bon Voyage.